I'm the first to admit that I find skincare a bit of a minefield. There's about fifty million brands, and products galore for dry skin, acne-prone skin, sensitive skin, aging skin, congested skin... but what if you're all of the above? My skin definitely doesn't sit neatly in one category that's easy for me to look after with a specific set of products. 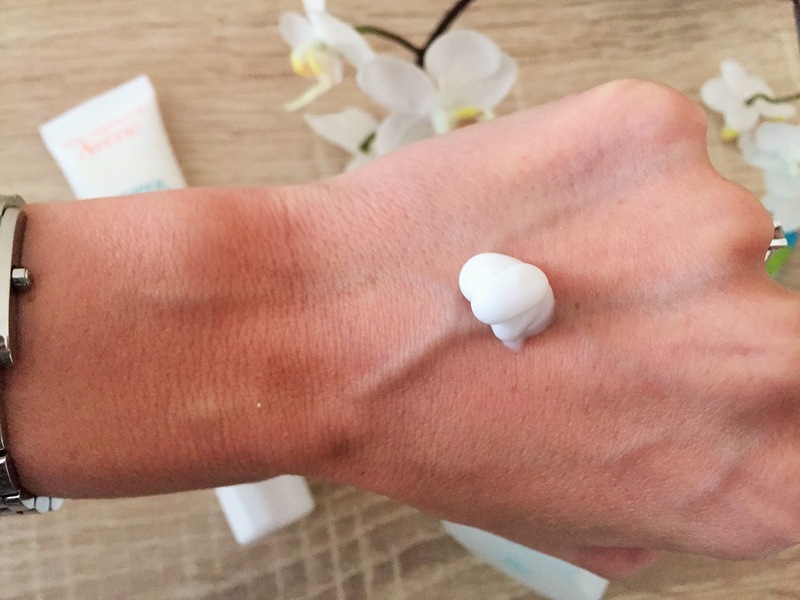 It fluctuates between a whole host of issues, all of which seem to require certain things from skincare that are really bad for the other issues. Ugh. Lately, I've been experiencing a bit of an acne breakout - something I suffer from randomly from time to time - and I decided that there was no point in overthinking things. The breakout is my main issue right now, so I kept it simple and just looked for products that will combat that issue. And as it turns out, I've stumbled across two little gems that target the acne without destroying the moisture in my skin. Result! 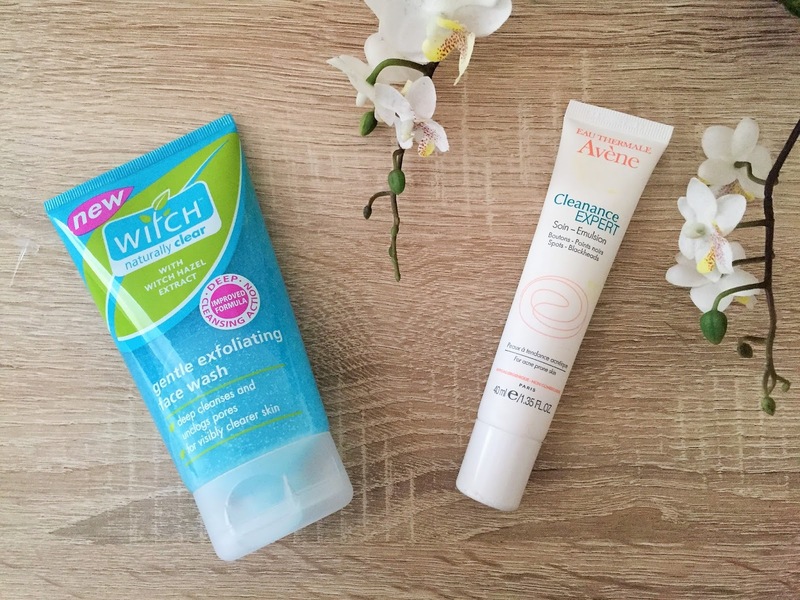 The products in question are the Witch Naturally Clear Gentle Exfoliating Face Wash and the Avene Cleanance Expert Emulsion. The Witch face wash was part of the goodie bag I received at the Pegasus Beauty Showcase back in September (and something, at the time, I didn't think I would use), and the Avene product was sent to me just a few weeks ago by the same PR company. 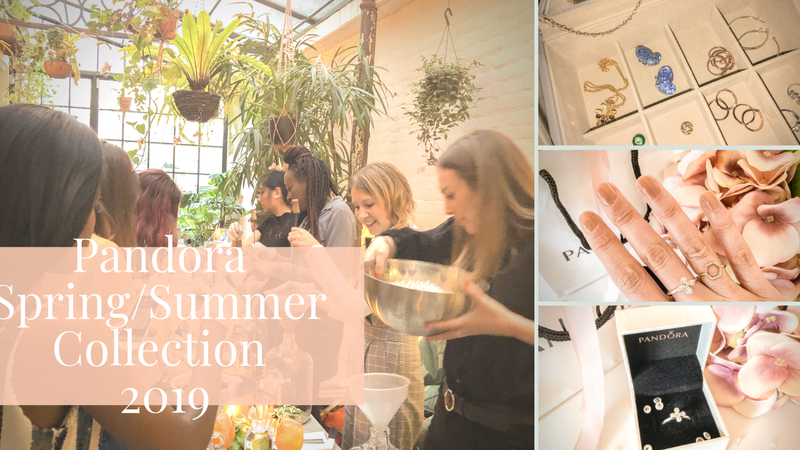 I have to say that this is the perfect example of how blogging opens your eyes to new brands, because I don't think I would have gravitated towards either product had I not been introduced to them through Pegasus. 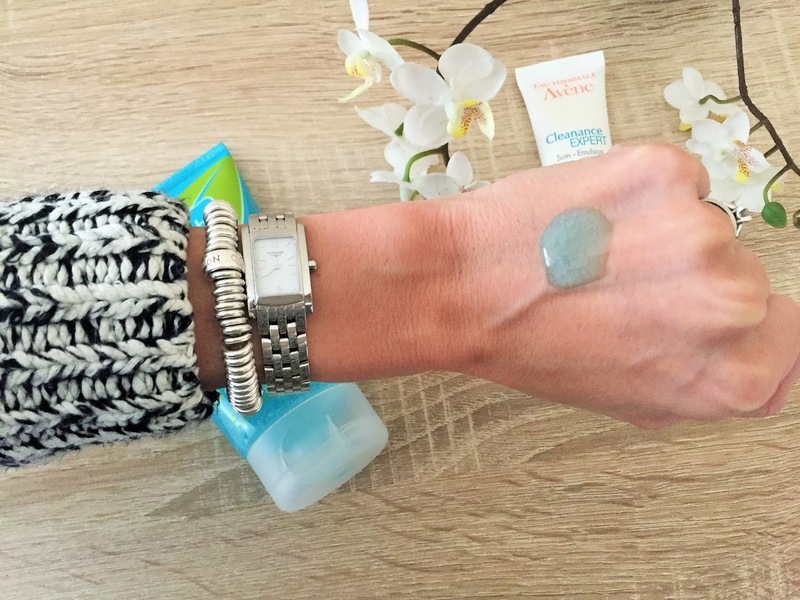 One of my biggest bugbears with my skin is that it's often congested but it's also sensitive. How to clear it up without aggravating it and making it all red and dry? 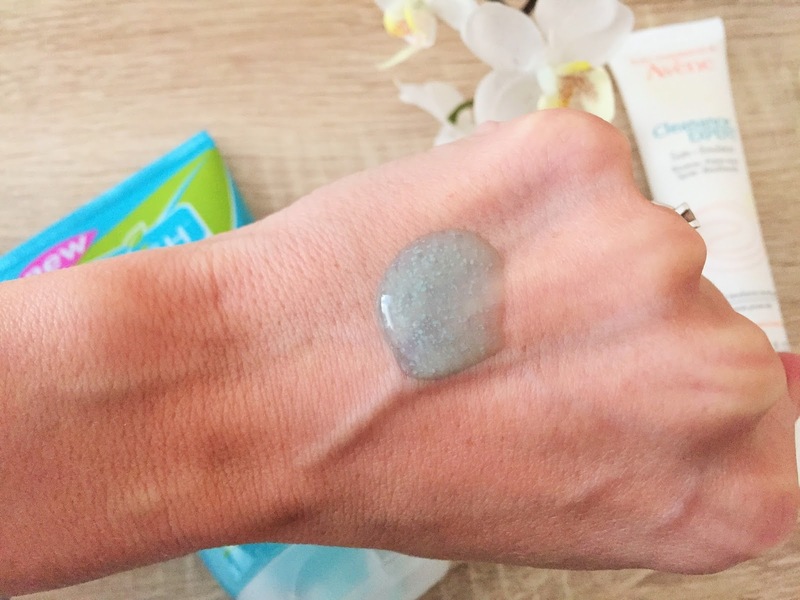 Normally I would have been too nervous to try a product like this, with exfoliating granules in it, especially as a daily cleanser, but having spoken to the Witch team at the Pegasus event, I knew that this was a gentle formula, designed to unclog pores without drying out the skin. I've been using it for almost a month now and it does a fantastic job of deeply cleansing my skin, without giving me any dryness or issues with sensitivity whatsoever. The blurb on the back does recommend caution with sensitive skin, so now that my complexion is clearer I will probably switch to something with a creamier formula, and keep this in reserve for the next time it's needed. The Avene Cleanance Expert emulsion won the "Best New Skincare Treatment" in the Pure Beauty Awards 2015. It's unique in the sense that it's a moisturiser which actually contains acne fighting ingredients, and this got me interested straight away. It's a lovely, mid-weight sort of cream with a light, fresh scent. It feels very pleasant to use. It's definitely effective at moisturising my skin, but it also gently exfoliates, mattifies, regulates sebum production and reduces redness and inflammation. My complexion feels perfectly balanced once I've used this after the Witch face wash. Not greasy, but definitely not dry either. It's a lovely product and it's great to know that I can keep my skin hydrated and fight that nasty acne bacteria at the same time. 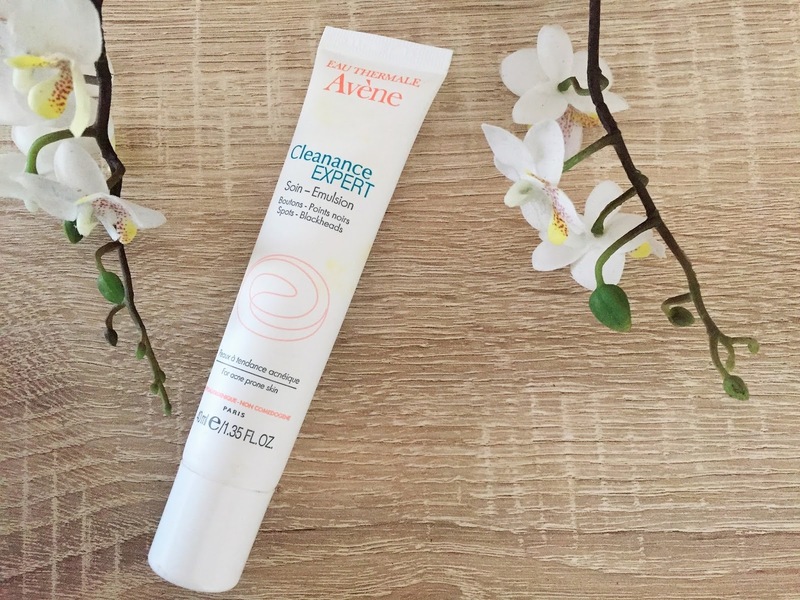 This little wonder in a tube was formulated by Avene after they surveyed women suffering from adult acne. They discovered that a lot of women are reluctant to use acne targeted skincare because they are afraid it will strip their skin and be too harsh for daily use. That's definitely something that's always worried me. Especially since, once over the age of 25, we all need to be careful to make sure that our skin gets enough moisture. Thanks to Avene, I've been able to battle the breakout without feeling like I'm sacrificing the quality of my skin. Brilliant! There's no miracle cure for acne breakouts, and there are times when medication is the only answer. However, they can be kept under control with the right products, and I'd definitely recommend both of these. Anyone who's suffered with breakouts will understand when I talk about that dreaded tell tale feeling that something hideous is about to erupt on your face. Well, once I had been using these products for a week or so, those hideous somethings started to reduce before the eruption happened. I honestly didn't think that skincare alone could do that, but I've been really impressed. For now, the little episode seems to be over, but I will definitely be keeping these in my stash for the next time they're needed. I stay away from physical exfoliants most of the time, but it is great these two worked for you! Blogging is great to get to know different brands that may come in handy quicker before you even know. These look like great products! Very nice! Looks like a great brand :) Bonjour from France, Sand. 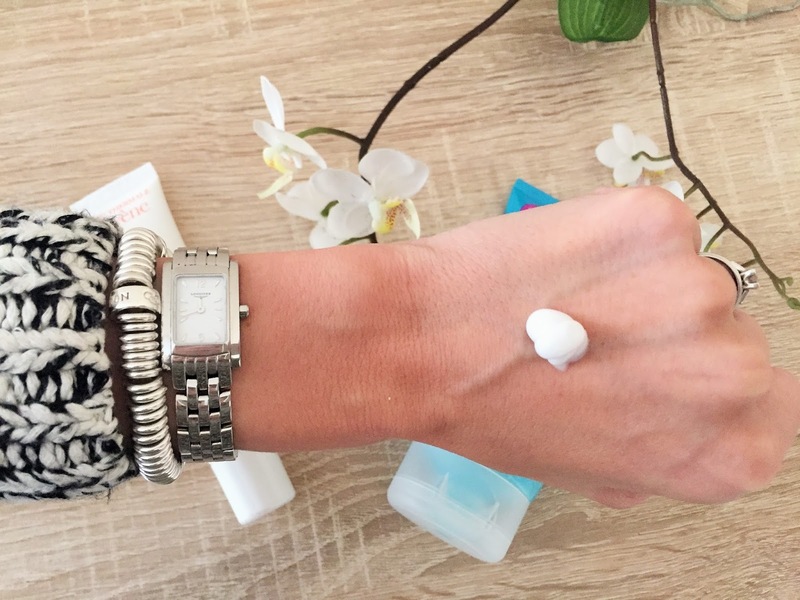 I love Avene skincare! It's so gentle yet effective! I really need to pay more attention to Avene's products, there's been lots of good reviews on the brand but somehow it always escape my attention. The problem for me...well, I shouldn't call it a problem, is I find it hard to see the differences that a product or range gave to my skin. I'm very lucky in the sense my skin has always been good but at the same time, it's a huge problem whenever I test a product. Great products. I've heard some very nice reviews about witch hazel. Both of these sound so lovely, I love Avene products! If you're into DIY skincare, a turmeric/honey/yogurt facemask is EXCELLENT for clearing up acne-prone skin, even if your skin is sensitive! Both are such amazing products! I adore them! 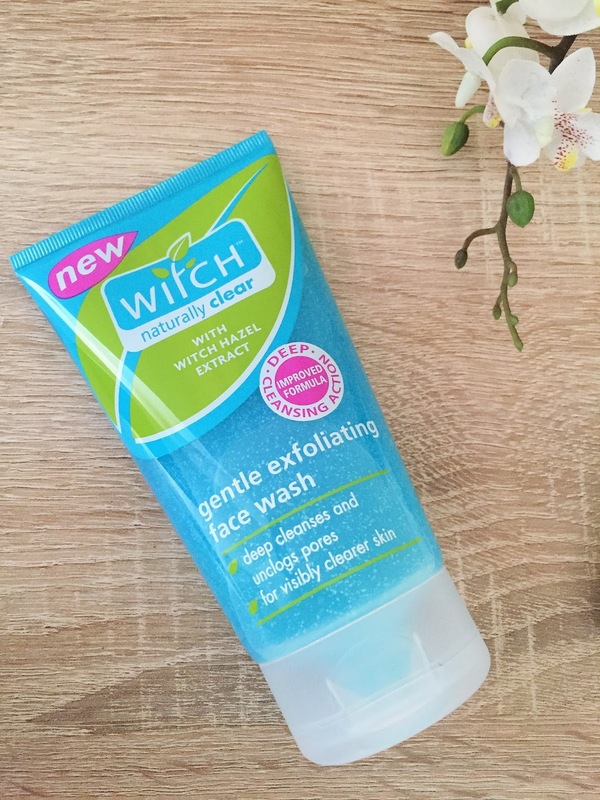 I don't think I've used anything from Witch since my teens so I've totally forgot how fantastic their cleansers can be! And you can usually pick Witch up pretty cheaply too! I might have to give this one another go! I hate acne! And usually I use effclar, effaclar a.i, effaclar mat and effaclar duo as treatment! It always get better. I'll have to try these! Great post. How interesting the Avene Cleanance Expert won that award, I hadn't realised it was so highly rated! Your review truly does make me want to try it as well :) Have a lovely week! I'm a fan of Avène! I'm not surprised at all Avene won an Pure Beuaty Award. Their products are indeed very pleasant to use!